. إن Bayshores Holiday Apartments حريص على توفير الراحة للنزلاء، فلا يوفر الموظفون جهداً في تقديم أفضل الخدمات وضمان حسن الاستقبال. يقدم الفندق واي فاي في المناطق العامة, صف السيارات, غرفة عائلية, مطعم, جولات لضمان الراحة القصوى لضيوفه. تنعكس أجواء Bayshores Holiday Apartments في غرف الضيوف.تلفزيون بشاشة مسطحة, مكيف هواء, مكتب, شرفة/ تراس, ساعة منبه هي بعض الميزات الموجود في العديد من الغرف. يقدم الفندق العديد من الفرص للاستجمام كمثل حمام سباحة خارجي, ملعب تنس, حديقة, رياضات مائية (آلية), رياضات مائية (غير آلية). استمتع بخدمات لا يعلى عليها وعنوان ذو اعتبار في Bayshores Holiday Apartments . Fell i love with the apartment, owner couldn't be more helpful, will stay again soon. Absolutely spotless and close to all amenities. The only reason why I only gave 3* for the Staff was because we never actually met them! However, they did leave us a note for when we arrived. The apartments were more like townhouses, as ours was 2 storey and had a full utility room and downstairs toilet - as well as all the rest that was advertised! Great location on the esplanade, lovely restaurant for breakfast within 10 minutes walk and 10 minutes drive to the marina (which we departed from to visit Fraser Island). Would recommend this place highly. roomy two bedroom apartment in fantastic location! great price also! could do with some updates but I'd gather that would put the price up! lovely cheery lady on check in! will definitely back! So disappointed in these apartments. I don't mind an ageing building but to find mould and dust everywhere, hairs in the shower and stove top. Broken cooking pans and old ovens with cracks and couldn't even get it to work. Don't even get me started on the lack of information as to how to lock and get into your room!!! I do not recommend these apartments they need to be thoroughly cleaned and fumigated, stunk of cigarette smoke! 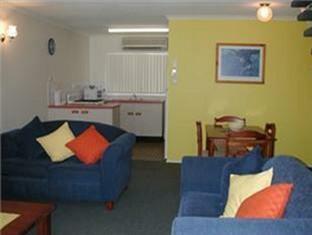 Apartment size, choice of dining areas and convenience. Comfortable. 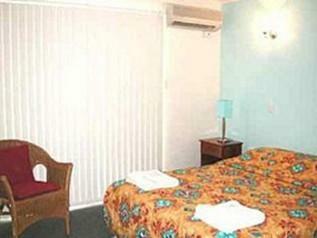 Walking distance to hotels for meals and generally relaxation. 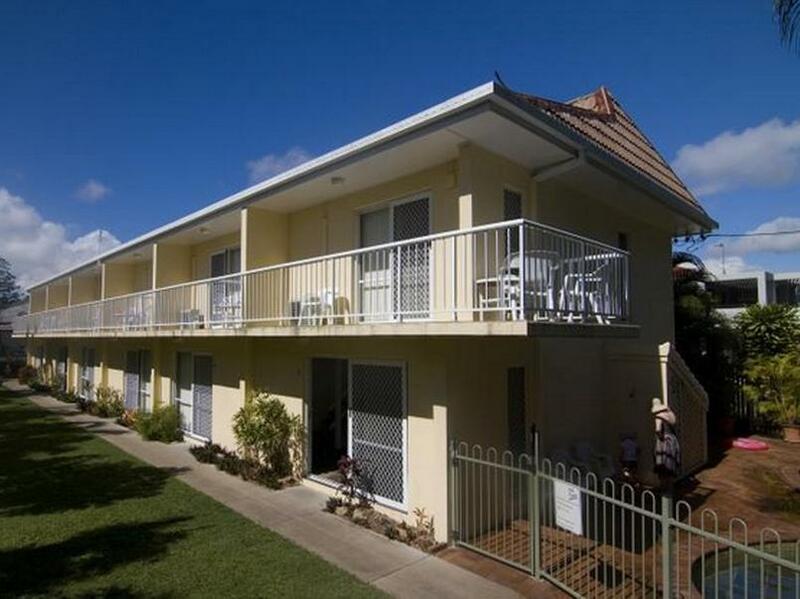 The unit was clean, tidy self contained/ kitchen/ laundry, beautiful surrounds across from the beach, shops next door,staff were very helpful and professional. The accomodation was upstairs downstairs, I was so impressed I stayed two more days and am sure I will return and stay at this wonderful place.